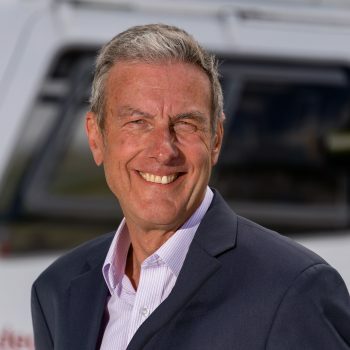 Robert joined the charity in 2015. He is a Chartered Accountant who worked for Francis Clark in Truro for more than thirty years and continues to consult for the firm. Robert is a Governor and Chair of the Finance Committee of Truro School among other charitable commitments. Sarah has lived in Cornwall for 10 years, exploring the Cornish coastline and countryside with her fiancé and two dogs. She is making the most of her passion for photography and love of wildlife with the beautiful views and breath-taking setting that the county has to offer. Sarah has spent the last 8 years working in hospitality and event management, planning dream weddings, professional conferences and Christmas parties. 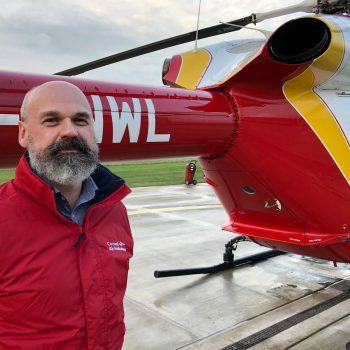 After seeing the role to join the Cornwall Air Ambulance team to plan events and sign up new recruits to the exciting challenges, she knew this was the perfect opportunity to be a part of a worthy cause whilst doing what she loves and supporting those who want to raise vital funds for the charity. Sarah leads the Board of Trustees. Her career has taken her across a broad range of sectors including retail, technology and third sector, in organisations of all sizes from small start-ups to multi nationals. Much of her recent working life has been spent with the RNLI. After ‘earning her stripes’ as a fundraiser, she moved into HR in 2001, ultimately heading up the HR and Organisational Development function for the RNLI. 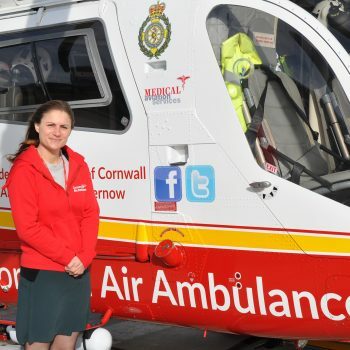 Unsurprisingly, she is a passionate advocate of volunteering and she wears a number of volunteer hats including a governor at Roselyon School and she has been a Trustee at Cornwall Air Ambulance since June 2014. In her working life, Sarah runs a consultancy service, The Critical Friend, acting as a sounding board, coach and catalyst for senior leaders across the South West. Her work focuses on resilience, leadership development, strategic planning, high performance and managing sustainable change. Additionally, Sarah is an associate Non Executive Director at the Royal Cornwall Hospital Trust. She is a Chartered Fellow of CIPD, with an MSc in Strategic Personnel and Development. Married to Simon, they are both keen foodies and when not cooking or eating, they are found walking their dog around some of Cornwall’s beautiful coastline. 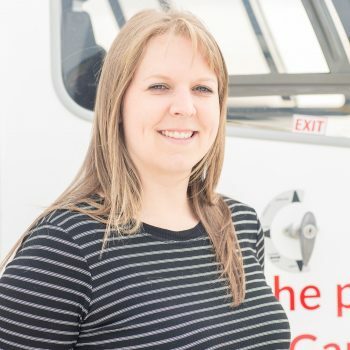 Sophie joined the fundraising team in July 2018. With a background in the charity sector, predominantly with the National Trust. 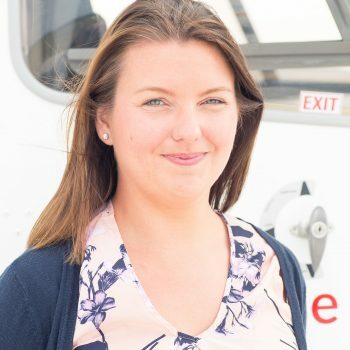 Originally from Cornwall, she moved away to develop her career in operations, fundraising and event management with various charities across Devon, returning to Cornwall in 2016. 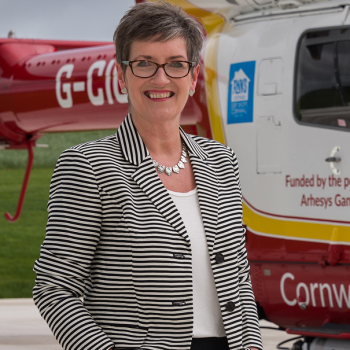 It has been a long held ambition of hers to work for the Cornwall Air Ambulance Trust and she is looking forward to supporting the charity in it’s life saving work, especially aiding the new Heli Appeal 2018. Sophie enjoys horse riding, spending time with family and friends and has recently had her very first flying lesson! Steph joined the charity in October 2016 as the Fundraising Officer - Corporate. Steph returned to Cornwall after 10 years away studying at university, and working and volunteering for several charities, including charities operating in conservation, seafarer welfare, animal welfare, the arts and Girlguiding. With a background in community and corporate fundraising, Steph was excited to come home and put her experiences to good use in a Cornish charity which supports the people of the region. Outside of work Steph enjoys visiting the theatre, walking the Cornish coast and looking after her two rescue cats. 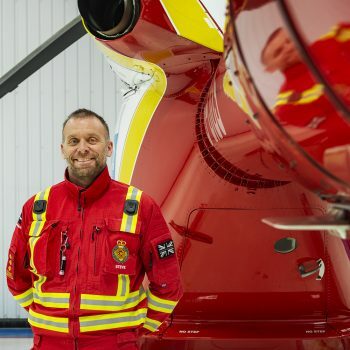 Since joining the ambulance service, Steve’s ambition has always been to become a member of the Cornwall Air Ambulance and he is proud to serve the local community as an aircrew paramedic. He began his medical career in 2000 with the ambulance service and qualified as a paramedic in 2005. He became a full time member of the aircrew in June 2009 following a robust selection process. Today Steve leads the paramedic aircrew. In his spare time Steve’s hobbies are surfing, cycling and travelling the world. He has cycled from London to Land's End and also from London to Paris raising funds for charity.